The season of giving is among us! It’s not how much we give, but how much love we put into giving! There’s only a few days left in our HOLIDAY SALE. Anyone who purchases a gift for themselves or a friend from the holiday sale this month will receive a free sample of Shakeology® and will be entered to win a free copy of either Country Heat, PiYo Workout or 22 Minute Hard Corps. Order any KICKSTART Challenge Pack of choice and get a FREE copy of Insanity Max: 30 (only 2 available. First come, first serve). 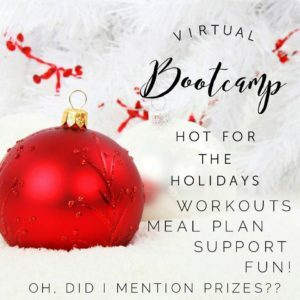 As part of an ADDITIONAL perk from my HOLIDAY SALE: Get FREE copy of my favorite cookbook OR a $20 gift card to the store of your choice when you join my Virtual Bootcamp in December with the purchase of a Challenge Pack! You’ll get 30-minute workouts, a detailed meal plan, super nutrition and VIP access to my amazing support group. 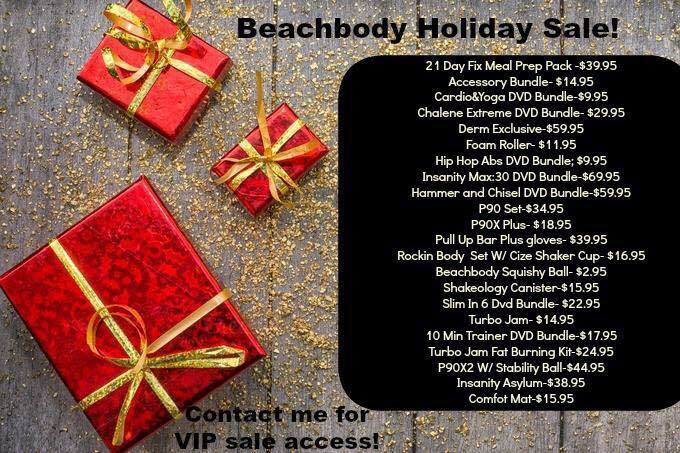 The 2016 Annual Holiday Sale is available via www.fitasianmom.com,including discounts on select Beachbody programs, accessories, gear and apparel. Nothing says LOVE, then giving the gift of HEALTH to YOURSELF and those you love. This meal prep package covers all of your meal prepping needs. Enjoy the foods you love and still lose weight with color-coded, portion control containers and the Fixate cookbook, Autumn Calabrese’s very own collection of portion-controlled recipes. Plus, get a signature 21 Day Fix insulated tote bag and large 21 Day Fix container to bring your meals on the go! This 21 Day Fix Meal Prep Pack is designed to make losing weight simple and convenient. Save 70% now through November 29th! Sculpt and tone your body and increase the intensity of your cardio workouts with our all-encompassing workout accessory bundle. Save 33% now through November 29th! Building a strong, defined body doesn’t require hours spent working out—just an expert approach. And with The Master’s Hammer and Chisel™, trainers Sagi Kalev and Autumn Calabrese use innovative resistance training to help you sculpt your ultimate physique in just 30–40 minutes a day. Plus, to get ripped even faster you get 4 advanced Deluxe workouts FREE. Sagi and Autumn designed these workouts around an 8-lb. medicine ball to challenge your strength, stamina, and stability—so you can sculpt your ultimate physique at lightning speed. And to make meal planning even simpler and more convenient, you’ll also receive a set of portion-control containers and a Shaker Cup. Get ready to see a masterpiece in the mirror! Exclusive Offer! Get the FREE bonus workout DVD—The Master’s Cardio—(a $19.95 value) when you order The Master’s Hammer and Chisel through your me. Click here for my final review on the program. Save 50% now through November 29th! Get ready to MAX OUT for MAX RESULTS! With INSANITY MAX:30, the only thing standing between you and the best body of your life…is YOU. There’s no equipment needed in these killer cardio and strength workouts. Just push to your MAX and get insane results in 30 minutes a day. 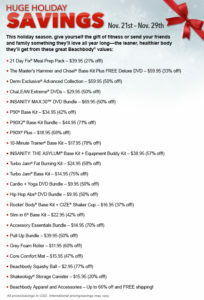 You get everything in the INSANITY MAX:30 Base kit, plus three additional workouts for insanely shredded abs. Save 42% now through November 29th! Now you don’t have to go to the extreme to get dramatic, visible results! Tony Horton’s 90-Day Body Transformation for EVERYONE features workouts that are simple, doable, and made to change your body right away—regardless of your age or fitness level. Exclusive Offer! Get a FREE bonus workout DVD, P90X3® Dynamix (a $19.95 value), when you order P90 through your Coach or Team Beachbody. Save 78% now through November 29th! On average, I have about 10-15 people per week ask me for tips/suggestions on how to get healthier & fit. The TOP 2 things that stand in the way from everyone’s goals are ⌛️TIME & MONEY💰! If you are one of those who lack the TIME & FUNDS to get what you want! Would a 10 Minute workout (per day) interest you!????? What if it took only 10 minutes to get a great body? Now Tony Horton’s stacked his most effective moves into a series of 10-minute total-body workouts that will show you real results in 60 days. Even someone as busy as you can find just 10 minutes to get the body you want. With 10-Minute Trainer, you have no more excuses! For more information on this program click on this link. Save 37% now through November 29th! Get a hot new Rockin’ Body with Shaun T’s high-octane dance party that will have you sweating off the pounds to all your favorite dance-floor hits! As an added bonus, you’ll receive a stylish CIZE® shaker cup. Have you heard about CIZE: The end of exercise!?? or Country Heat by Autumn Calabrese ? Cize is a fun dance workout doesn’t feel like a workout at all! Shaun T leads you in learning, step by step, dance moves which you then put together at the end of each workout as a full dance routine! It’s so fun! Country Heat is a dance-inspired workout that is FUN, a TOTAL BLAST to be exact. 1 move is broken down and demonstrated by Autumn Calabrese , creator or 21 Day Fix and then you do it 8 times before move 2 is introduced and then you do that move 8 times as well, and then put the 2 moves together and do only 4 times, all the while, the music is THUMPING in the background, keeping you motivated and moving and burning calories. NOW….I am not a dancer (never have been). I actually tried these programs fully expecting to hate it, and was proven WRONG! I had fun! It taught me to learn to laugh at myself and also that rhythm and coordination CAN be learned WITH PRACTICE! Both of these programs also comes with a meal plan that is very similar to the one explained in 21 Day Fix. It uses the container system as well. If you just need to do SOMETHING to start moving your body both of these programs will have you sweating and not feeling like you’re doing a workout! But TRUST ME…You will be sore the next day! Click here for my final review of Country Heat. Work your core and treat your body with this special DVD offer. First, jump-start your metabolism with the best Slim Training moves to reveal a lean, strong, and sculpted new body. Then, increase flexibility, improve posture, decrease soreness, and relax a stressed mind with Kathy Smith’s Yoga Flex. Get ready to burn fat, boost your metabolism, and get lean with ChaLEAN Extreme, the extreme workout system from Chalene Johnson. It’s a fact: The more lean muscle you have, the more fat you burn. You can lose up to 60% of your body fat in just 3 months and see visible results every 30 days, because MUSCLE BURNS FAT! Get maximum anti-aging skincare benefits with the Derm Exclusive Advanced Collection! Prepare, treat, and protect your skin with this luxurious 4-piece system designed to help promote the youthful appearance of your skin—with this complete transformation system, you’ll be on your way to beautiful, younger-looking skin. Save 60% now through November 29th! Specially designed for self-myofascial release, an intense form of sports massage. It can help reduce muscle and joint pain and enhance your athletic performance. Shaun T combines cardio dance, total-body sculpting, and abs in five awesome workouts so you can groove off the pounds and get those six-pack abs. Includes 2 DVDs. Save 71% now through November 29th! Train off-balance to build the body of an athlete. Using a breakthrough in sports science called Muscle Integration, P90X2 delivers pro-level results in just 90 days. Includes two intense bonus workouts and a 55cm Stability Ball to take your muscle integration training to the next level and accelerate your results. Save 68% now through November 29th! If you love P90X and you’re saying, “Give me more,” or, “I need a challenge”—then here it is. Tony Horton takes your P90X workouts to the next level with these motivating and calorie-busting workouts. This two-in-one offer allows you to get a solid grip while developing and strengthen your shoulders, back, and arms. These tools are great for P90X®, P90X2, and INSANITY: THE ASYLUM. Save 58% now through November 29th! Chalene’s most advanced kickboxing and body-sculpting moves set to hot, new music to maximize your fat-burning and toning results! Save 47% now through November 29th! Get instant, cushioning support throughout your core workouts with this compact, go-anywhere floor-exercise mat. Save 20% now through November 29th! This airtight, durable, 3.5-quart, round canister is BPA-free and perfect for storing a full bag of Shakeology®. Container is stackable with easy one-handed opening of the black lid, and fits almost any pantry or countertop. The clear PET base allows you to see which flavor of Your Daily Dose of Dense Nutrition is inside! Lose up to 25 pounds in just 6 weeks with the low-impact workout anyone can do. Trainer Debbie Siebers combines cardio with light resistance moves to burn fat and sculpt your abs, thighs, and buns fast! Save 57% now through November 29th! Maximize your skills with this 30-day program that builds speed, coordination, agility, and power. Shaun T preps you to WIN with sports-specific training inspired by pro athletes. The result? Game day becomes your day to excel. Includes an additional FREE Speed Rope and Agility Ladder so you can work out with a friend, spouse, or family member. An extra serving of sweet potato casserole, a sliver of pie, a cocktail or two. By itself, each of these festive splurges seemed so innocent and harmless. But like holiday presents, holiday dietary indulgences come at a cost – A COST to our HEALTH and waistline and can start a BAD HABIT. Most of us never lose the 5-10 pounds we gain between Thanksgiving and New Year’s Eve. And then over the years, those 5-10 pounds add up. The damage is even worse when these hearty winter eating patterns take hold and last well into spring, as they often do. The good news is we have a 3-day detox a quick weight loss plan, that will reset your eating habits, kickstart your metabolism and get you on the right track BEFORE the holiday. This plan is something that will help to get you out of party excess mode and put you on a healthy eating track for the new year. It’s simple, fast, and effective. Once you have taken back control of your eating—and lose weight in the process, in just 3-days you can take on one of our 21-Day or 30-day plans to help you get through the month of December. Refresh Yourself in 3 Days!